Another Google user can follow “updates” on a personal page, but it isn’t set up for a business, so users can’t leave “reviews”. Note that you can identify a personal page because it indicates where the user “lives” and “works”. Google requires that a personal page be set up, and that “person” manages the other pages. This is a page for a business that might have multiple locations, or no locations (like a cleaning service that comes to you). These will not merge with Maps/Places pages, or Local Business pages, as they are (at least currently) viewed by Google as similar to a Personal/profile page. This type of page allows very little customization, you can’t create “updates”, and therefore, fans can’t “follow” a business’s “places” page. The banner image is always a map image of the location (that is why it is a PLACES page). Users can review a business here. These reviews will eventually be folded into the Local Business Page once Google merges the 2 types of pages. Google creates these so you don’t need to, but it is good to be able to identify them. Allows users to “follow” updates, and “+1” the business, similar to “liking” on Facebook. Eventually Google will merge the Business Pages and the Places pages, though in the short-run, we Google users, need to do that manually. The page owner gets to upload/customize a banner image for the page. Use this page for posts and updates. +1’s are important because after Page Authority, a URL’s number of Google +1s is more highly correlated with search rankings than any other factor. In fact, the correlation of Google +1s beat out other well-known metrics including linking root domains, Facebook shares, and even keyword usage. An engaged audience that will keep your brand “front of mind” when the buyer enters the purchase cycle. This is doubly true with “Shared Endorsements” that Google introduced earlier this year, so that +1’s from a user’s friend can show up as an endorsement in search. Which means is that if George +1’s my business, and George’s friend Holly does a related search, my business can show up in Holly’s search results with George’s endorsement. ii. Showing reviews in-line along with other local search results. We have seen that local business listings with a greater number of positive reviews can have a much higher click-through rate, even if they are geographically further away, or listed lower down in the search results. See #4 for things that marketers and business owners need to know about reviews. iii. Appearing for un-expected, or otherwise non-relevant search terms. I have seen a local business show up for their President’s Day Sale in a search for “President’s Day”, on page one of a Google search when the user was logged into Google and had circled that business. Circles are a distinctive feature of G+ that make it more powerful and flexible than other social media competitors. To “circle” a G+ identity is like “following” on Twitter. As distinction from Facebook, you can +1 to indicate that you like a business or a post without following them. You can also create a set of circles, and add individuals, businesses or groups to one or more of your circles then either view a stream from some or all of your circles, or share content privately within a specific circle. Google+ Local Business is becoming ubiquitous with the whole Google experience G+ is fully integrated with Chrome, Gmail, YouTube, and Maps. Being on G+ makes sites more “credible”. Use photographs generously. G+ can capture an image from a website link, or blog post, but you will have more control of what the viewer sees if you embed your own photo, and then put the URL in the body of the message. Photographs get seen more, and can take up a more significant amount of screen space. Google insights and “ripples” can provide a lot of information about how your image is viewed and shared than any other social media platform. G+ supports animated .GIF’s which do not work on Facebook, and the “Auto-Awesome” feature does things like add falling snowflakes to winter scenes. You can turn auto-awesome on or off at will. Reciprocity matters. When you comment on posts from others, mention them, and circle them, you substantially increase the probability that they will circle, mention you, and comment on your posts. To be persuasive, to get people to try your product, service or business, you can often be more successful if they can feel a connection. People will be more likely to be persuaded if you can help meet some of their needs from Maslow’s hierarchy of needs. Think about security and trust. Be like-able; be kind; and offer authentic praise where appropriate. Research your audience, use images that reflect the self-image of the people you are trying to reach. Being consistent, posting frequently (without spamming) helps make a G+ user recognizable and familiar, which can help build connection. It is important to signal to others what makes you a credible, knowledgeable authority, BEFORE making an attempt to influence. People follow the lead of credible, knowledgeable experts. If Rachel makes a claim about the handling of a new car, Jerome is more likely to find that claim credible if he knows that she has years of experience racing the hairpin turns at Sebring International Raceway. How you demonstrate credibility is going to vary according to your own knowledge and skillset, and by your audience. These ideas come from the writers +HBR in a great article “What Marketers Misunderstand about Online Reviews”. The wealth of peer-to-peer (also known as user-generated) content along with expert opinions has reduced the importance of a brand name, and information directly in the form of traditional marketing. Potential buyers can develop a more authentic sense of what it’s like to own the product or service they are considering through reading the experiences of others. People make purchase decisions based on an influence mix of (P) prior preferences or beliefs that they held before they begin to research the purchase, (M) content from marketers, and (O) information gathered from others through word of mouth and social media. In recent years the weight of (O) has increased significantly as more consumers turn to social media, including Yelp, Facebook, G+ and others to inform their purchase decisions. The reviews section of G+ is one of the first things that a user will see in a search result, often it influences their decision to click on a business website (or not to click). The influence mix varies for different types of purchases. Although we see purchases by other people (O) increasing across more categories than by prior preferences (P) or content (M), there is a difference between products which are low impact and purchased by habit, like brand of milk, where prior preferences (P) remain very influential, or beer and athletic shoes, where content marketing (M) continues to maintain strong influence. Where we see volatility and opportunity is in purchases that consumers put more conscious thought into, where they do research, especially online. The influence of other people (O) can be seen very strongly in substantial, lasting goods. The shifts in the market for smart phones for example, but also for selection of automobiles and where to buy them are good examples of purchase behavior influenced by (O). Communities are groups of G+ users who share common interests and share stories, videos, pictures and more with one another. By joining a community you get to post to all of the others in that community, and your posts can be read by anyone online, unless you set the post to “private”. Here are a few that I find very useful. 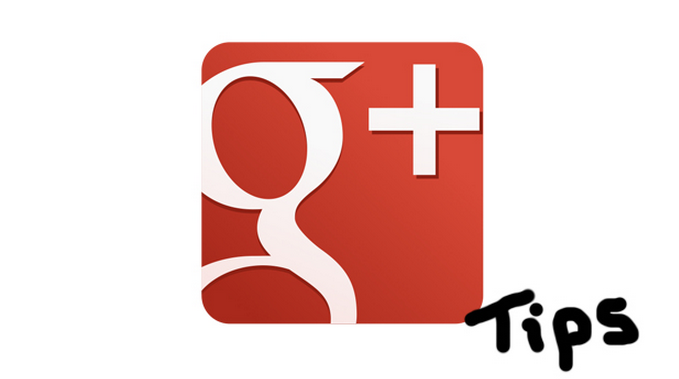 Helping new and experienced users get the most out of the Google+ experience. Biggest Automotive Professional Google+ Community in the world and best place to share Social Media best practices. Because I work in automotive marketing, I follow communities and groups that are relevant to my work. Businesses, like Moz can leverage their expertise by having employees write on G+ like a blog post, or inviting outside experts to contribute, which builds their brand. By circling a business you get to read everything posted, but you don’t get to post on their page. You can mention +Moz in a post, if you hope to get their attention. Writes extensively about using G+, easy to understand for beginners, lots of useful information for the more advanced user. You don’t need to circle an individual in order to read their posts, but doing so allows you to keep their thoughts in your feed, or stream. People get notified when you circle them, and will sometimes circle you back. Just like a business, you can reference an individual in a post by +MartinShervington mentioning them.